Here are the students from my Piece by Numbers Paper Piecing class. Left: blocks from all the students. 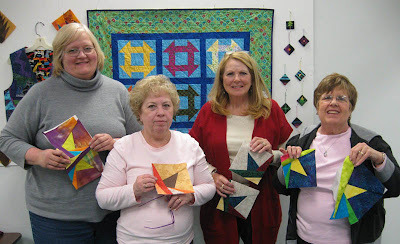 Each student finished at least one quarter block of the Twisty Star pattern in class. Within a few days, several of them had finished the block, sewn the borders, and even attached the binding. Mary finished piecing and attached the borders (left). Wanda finished her Twisty Star table topper. 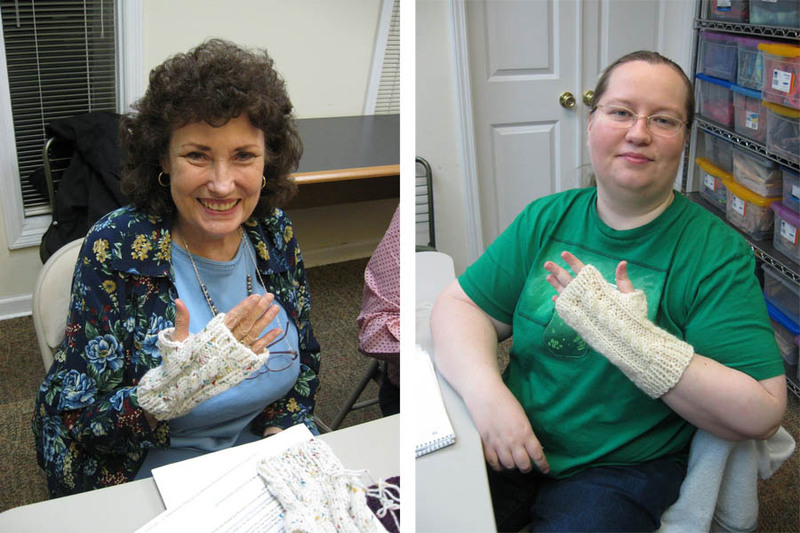 My Knitting II students worked on my Sweet Louise Fingerless Mitts pattern. There are a lot of techniques packed into this class: ribbing, cables, a thumb gusset and an invisible seam, to name a few. Look how well they did!